What Happens When Your SOLIDWORKS License Expires? When you purchase a license of SOLIDWORKS, whether it be a Standalone License or Network License, you have the option to purchase your license with Subscription Service. But what comes with that Subscription? Helpful tech support from your VAR's Application Engineers. We are here to help you, so feel free to call or email us with your SOLIDWORKS-related questions. Access to SOLIDWORKS Downloads and Updates. All service packs for the most recent releases are available for download. If you aren't using the most recent release of SOLIDWORKS for your production work, you can download and install the latest Service Pack of the version you’re using. Create and vote on SOLIDWORKS Enhancement Requests. Every new release of SOLIDWORKS includes features and enhancements that come from you, the SOLIDWORKS users. If you have ever said to yourself, “if only SOLIDWORKS could do ‘this’ in Sheet Metal" or "if the Trim command in the Sketch tool gave you this option," you can submit it as an Enhancement Request and it might just end up in a future release. If you find an existing Enhancement Request that best matches yours, you can add your name to the request, escalating it in the database. All licenses of SOLIDWORKS on Subscription (Standard/Professional/Premium) come with SOLIDWORKS CAM Standard. 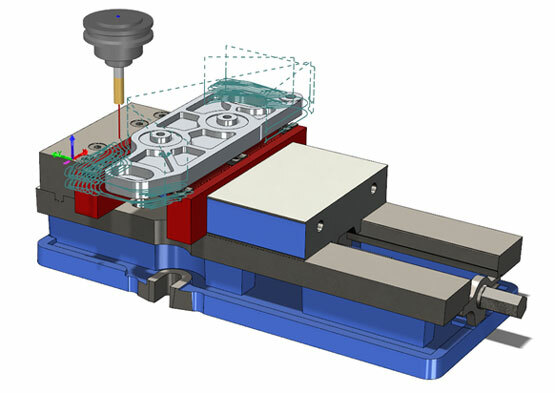 SOLIDWORKS CAM Standard lets you quickly program individual milled parts and configurations within the SOLIDWORKS 3D CAD environment with full access to rule definitions within SOLIDWORKS CAM to create and build to your company standards, as well as Tolerance-Based Machining. Licenses of SOLIDWORKS Professional and Premium on Subscription come with SOLIDWORKS Visualize Standard. SOLIDWORKS Visualize Standard is the fastest and easiest way to produce photo-quality images of 3D data. Using Visualize will reduce costs and accelerate time-to-market. 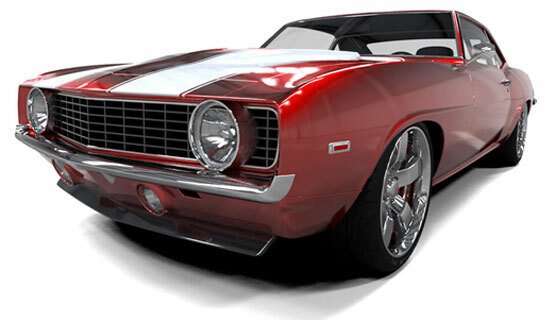 An example of a 1969 Chevrolet Camaro rendered in SOLIDWORKS Visualize. 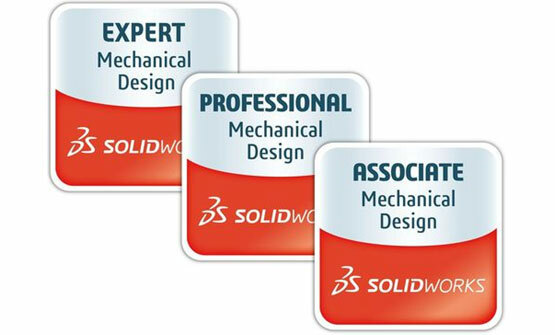 Your subscription entitles you to two free core certification exams and two Advanced exams per year for every seat of SOLIDWORKS. Set yourself apart from other designers and engineers by proving your skills as a Certified SOLIDWORKS Professional (CSWP) or specialize in Sheet Metal, Simulation, Weldments, Surfacing, Drawings or Mold Making. Once you have completed the CSWP and four (4) of the Advanced certifications, you can take the Expert certification (CSWE). Example badges available to recipients of the Expert, Professional and Associate level certifications. This is your one-stop location for all things SOLIDWORKS. From one website, you can search the SOLIDWORKS Forum, YouTube channel and a library of eLearning courses available from any device, 24/7. Your MySolidWorks login also takes you to your SOLIDWORKS Admin Portal, which is a cloud-based asset and service management system for managing online licenses that can be assigned to users. 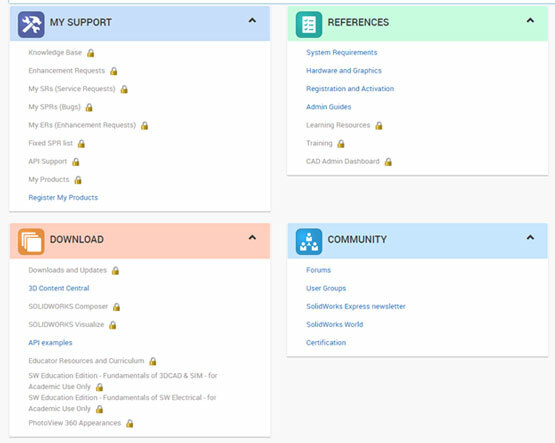 The Admin Portal makes it easy for administrators to monitor all their SOLIDWORKS licenses, invite members to an account, assign products and services to account members and create new administrators. Administrators can also remove users from licenses, even when users are in remote locations. Your Subscription entitles you to a MySolidWorks Standard account. The Professional account unlocks more content at an additional cost. All of this is included with your annual maintenance fee and I encourage you to make the most of it. Call or email your VAR if you’re experiencing an issue with your SOLIDWORKS or if you have a question with the functionality of a certain feature. We are here to help! Create that Enhancement Request. If you say to yourself, “SOLIDWORKS would be great if it would let you do this or that,” there is a chance you might see that enhancement or new feature in a future release of SOLIDWORKS. Download and test out the latest version and Service Pack of SOLIDWORKS to try out those new features you heard about at your VAR's launch event. Create those photo-realistic renderings of your new product, generating content for your sales and marketing teams in time for press releases and technical publications. Generate machining code to output to your CNC machines from within your SOLIDWORKS session. With all that said, there might come a time when your maintenance expires and you will ask yourself, "What happens now?" The good news is you can still use the SOLIDWORKS license that you purchased. You can continue to use SOLIDWORKS for creating new parts and assemblies, opening and editing existing files and drawings and even transfer your SOLIDWORKS license to another computer if needed. Downloads and Updates – new versions and service packs will be locked out and unavailable for you to download from your account. Enhancement Requests – that new feature or idea you have for a change will have to wait. The above screenshot is from a user account at customerportal.solidworks.com without an active Subscription to SOLIDWORKS. All links with a yellow padlock next to them are items only available with an active subscription. CAM Standard/Visualize Standard will cease to function with your license(s) of SOLIDWORKS. You won’t be able to finish those photo-renderings you were creating for your company’s press release for that new product you were bringing to market. You will have to look for another option for creating your CNC machine code. So, if someone were to ask you what would happen if your SOLIDWORKS Subscription isn’t renewed, you can tell them the many useful items that would no longer be at their fingertips. Thanks for reading! If you haven't already, make sure to subscribe to the Alignex Blog below to get more content like this delivered straight to your inbox! 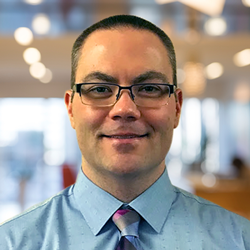 Bradley Hakeman is an Application Engineer at Alignex, Inc. When he isn’t helping customers with their SOLIDWORKS related challenges, he is keeping up on the latest features of SOLIDWORKS. In his spare time, he’s trying to sort out his kids’ soccer schedules and working on household projects, many of which were designed in SOLIDWORKS.